Tasty Appetizing Italian Pasta Penne With Tomato Sauce Served In White Pan. Served On Grey Table. Horizontal With Copy Space. Lizenzfreie Fotos, Bilder Und Stock Fotografie. Image 114631681. 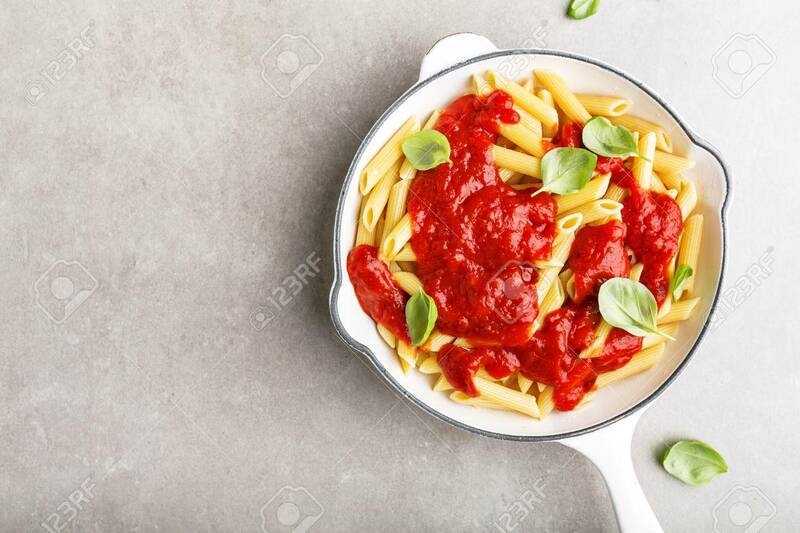 Standard-Bild - Tasty appetizing italian pasta penne with tomato sauce served in white pan. Served on grey table. Horizontal with copy space. Tasty appetizing italian pasta penne with tomato sauce served in white pan. Served on grey table. Horizontal with copy space.